$18,500 gross recovery for cervical strain injury auto accident in Richardson, TX. Great claim settlement where insurance company offered client only $7,500 before retaining Mullen & Mullen. Don’t fall for these tricks from insurance companies after an accident! 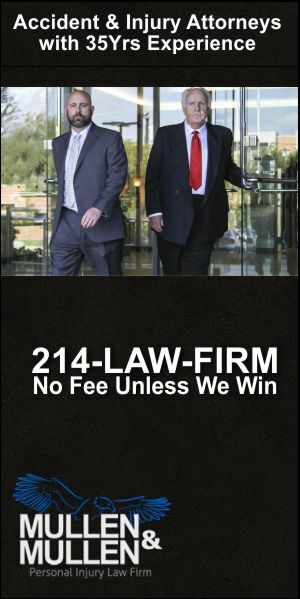 They’ll try anything they can to reduce or eliminate your accident settlement. Independent witnesses can often make or break a case. It is important to try and identify witnesses following a car accident if you are able to do so. Use the recording function on your smartphone to get statement(s) from any witnesses and encourage any witnesses to remain at the scene until law enforcement arrives. Don’t worry, you won’t be writing it. Your lawyer will because it’s critical to present all the facts and circumstances in a way that positions you well. 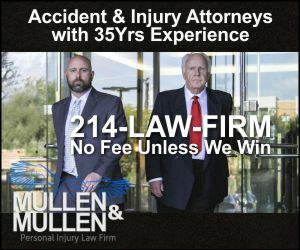 I conducted extensive negotiations with the intoxicated motorist’s liability insurance carrier and really battled to secure my client the best possible settlement. I was able to convince the carrier to significantly increase its offer by pointing out that the at-fault motorist lived in Dallas. Large delivery vans and 18-wheelers are not the only commercial vehicles on the road. Even a small passenger vehicle can be a covered automobile under a commercial insurance policy if it is used in the course and scope of one’s business. Adjusters almost always want to make cases about bills instead of about people. Even though this client’s medical bills were relatively low, that did not change the fact that she undeniably experienced significant mental anguish as a direct result of the auto accident. You can be partially, or even mostly, negligent yourself. Remember: If you’re an invitee on the premises you have enhanced legal rights as compared to a more licensee or trespasser. Invitees can recover damages even if they were comparatively negligent as long as their own negligence does not exceed 50%.